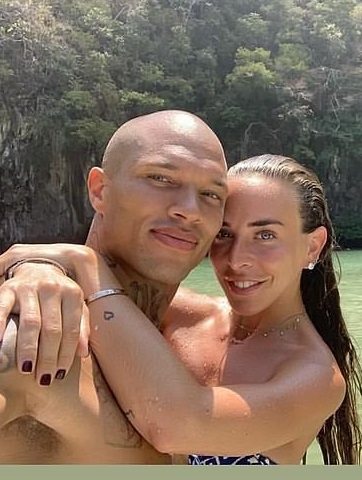 They were reported to have split earlier this month after she was seen without her rumoured engagement ring. 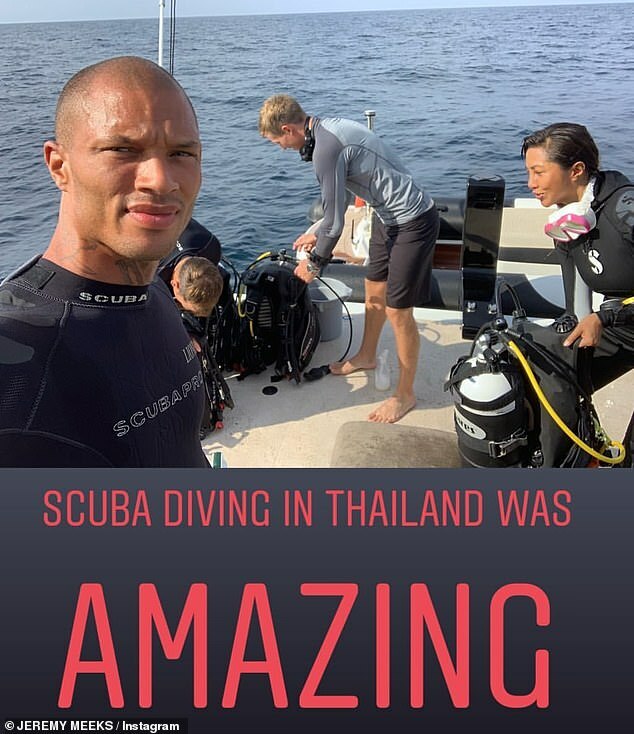 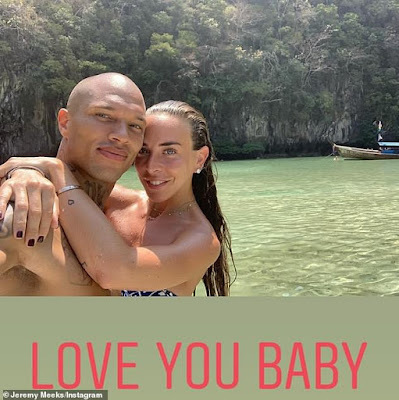 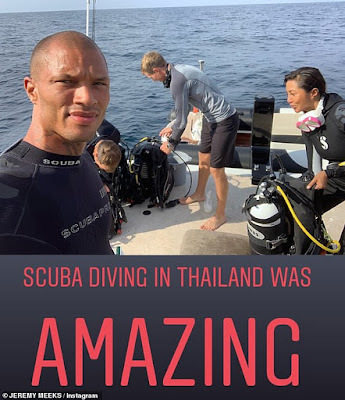 Yet Chloe Green and Jeremy Meeks silenced break-up claims once again after they shared several loved-up Instagram snaps taken earlier this week on their romantic Thailand getaway. 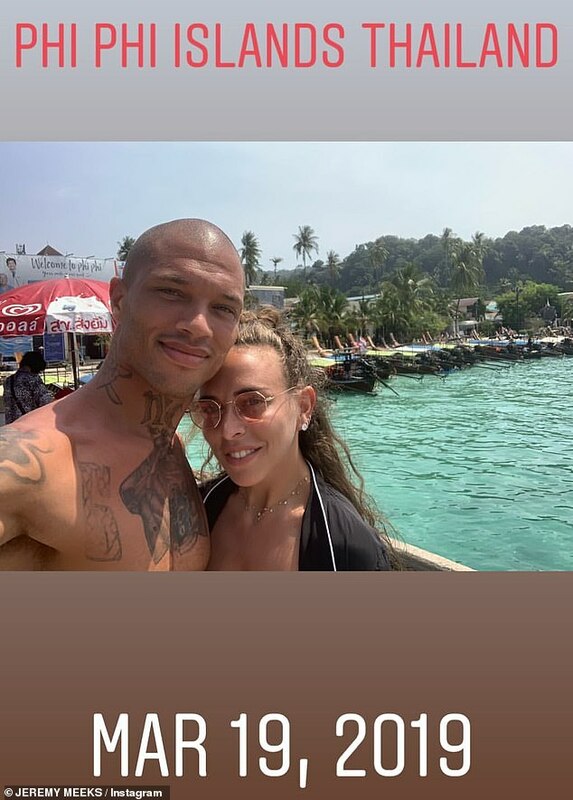 The daughter of Topshop boss Sir Phillip, 28, who shares 10-month-old son Jayden with the convicted felon, 35, couldn't resist packing on the PDA. 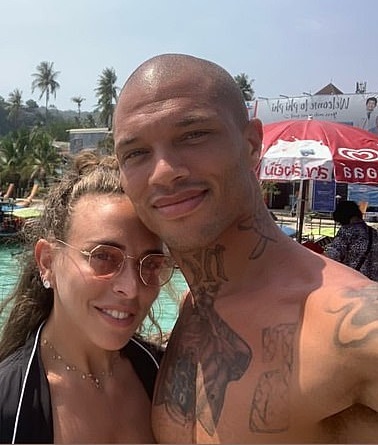 The couple also used the holiday hotspot as an opportunity to show off their toned physiques, with Chloe flaunting her washboard abs in a tiny blue and white patterned bandeau bikini.